I'm off to bed in a couple minutes, but I wanted to at least update and mention that I will be headed out on my second storm chase of 2009 in roughly five hours. Michael Carlson and I will be targeting the Wichita, Kansas area (though the official target will depend on many factors tomorrow, so we'll have to see). Looks like there will be some other chasers that we know out there as well, so it'll be nice to have an early day social before the action starts later in the day. From a sounding that I modified this morning (at work), it was easy to see that any significant heating will cause some chaos. We will be orienting ourselves with the dryline and frontal structures and looking for sunshine. If anything roots to the surface, it could spin like a top. So, that's what we're hoping for (as long as it is away from civilization!) Otherwise ... it will all be elevated convection with some hail mixed in. 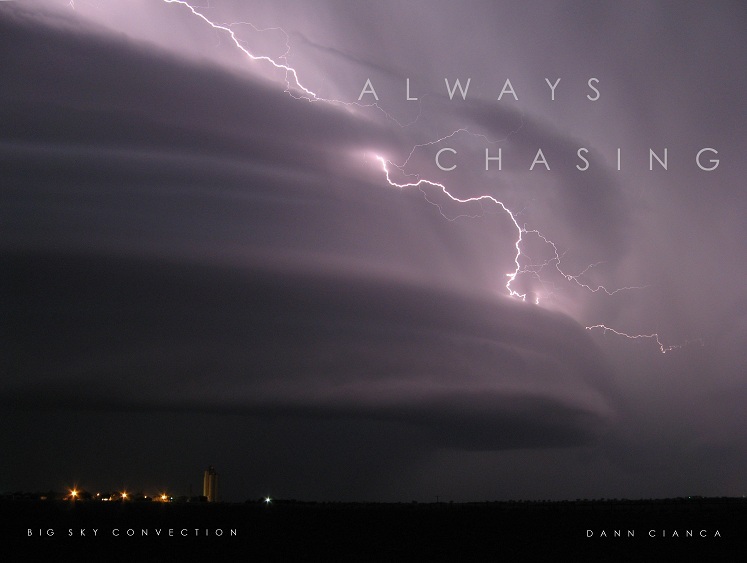 This is definitely not a "tornado-or-bust" chase. I just want to see some storms!! Hope you got some good shots. I see there was a tornadic thunderstorm SW of Wichita yesterday. Can't wait for pictures! Sorry guys, it's been a busy week. I'm done editing photo/video and hope to have a report up tonight!